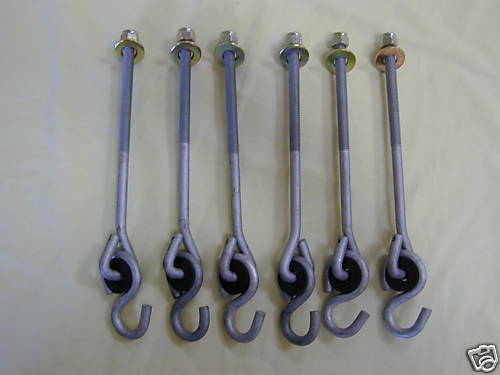 Set or 6 easy to install swingset bolt thread swing hangers. Hanger has nylon bushing for smooth ride. Galvanized all weather coating provides added rust resistance in treated lumber. Zinc plated nyloc nut and washer included.